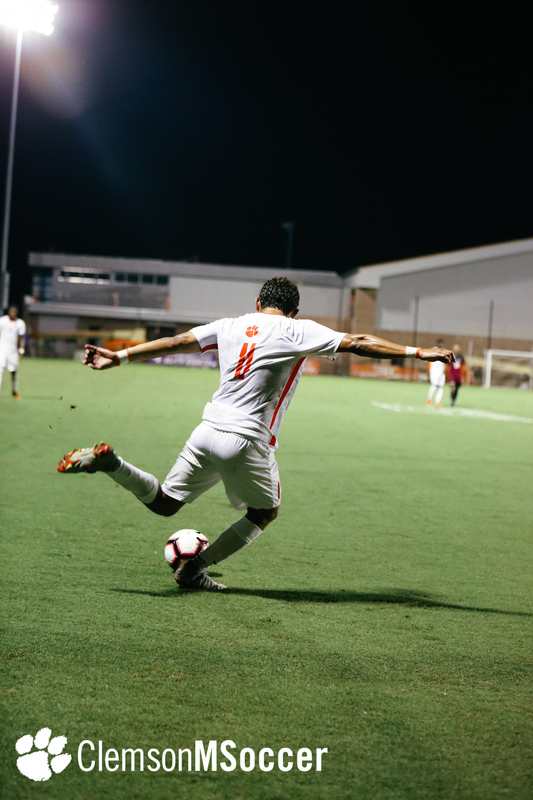 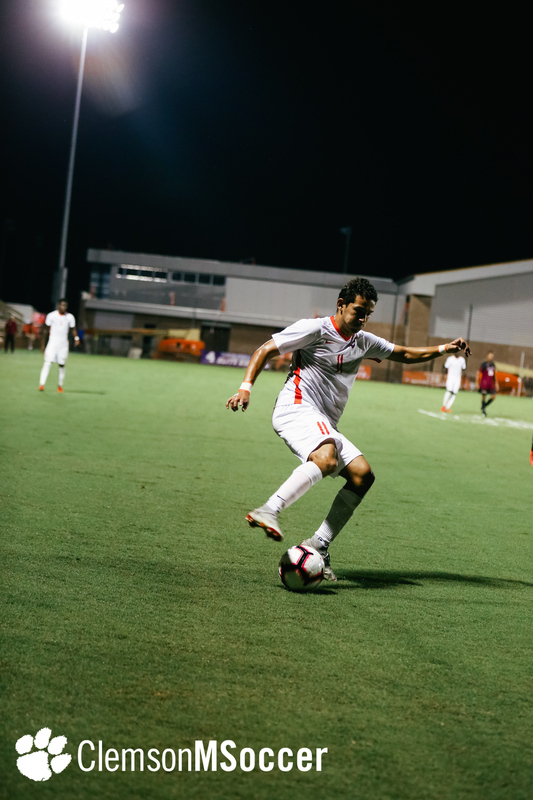 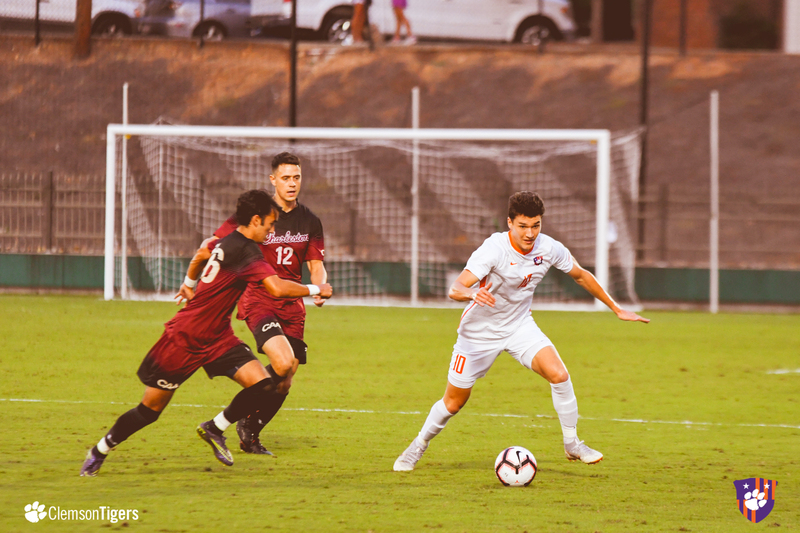 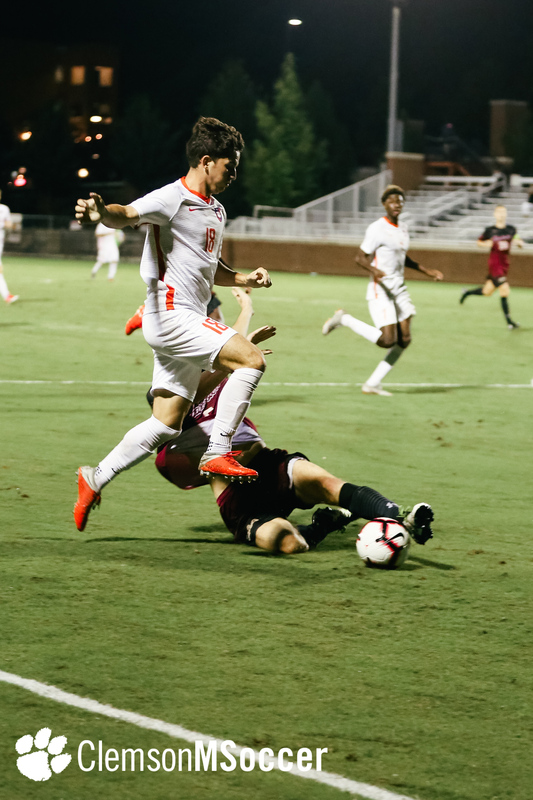 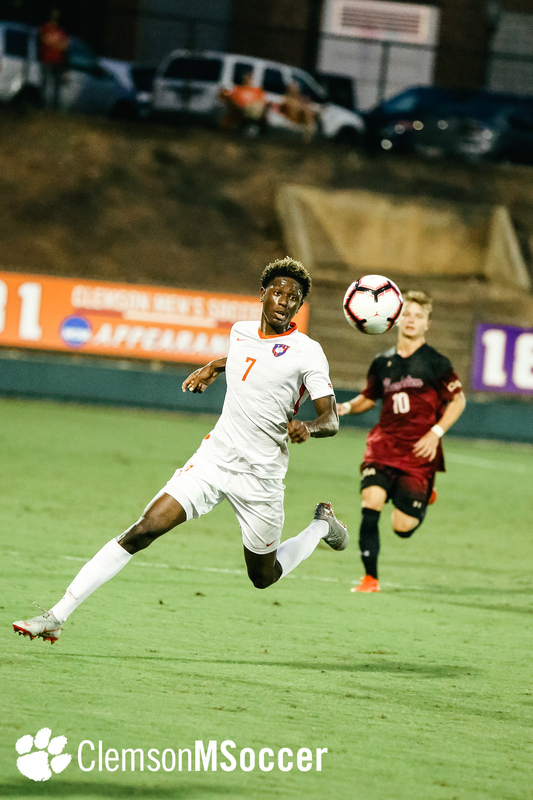 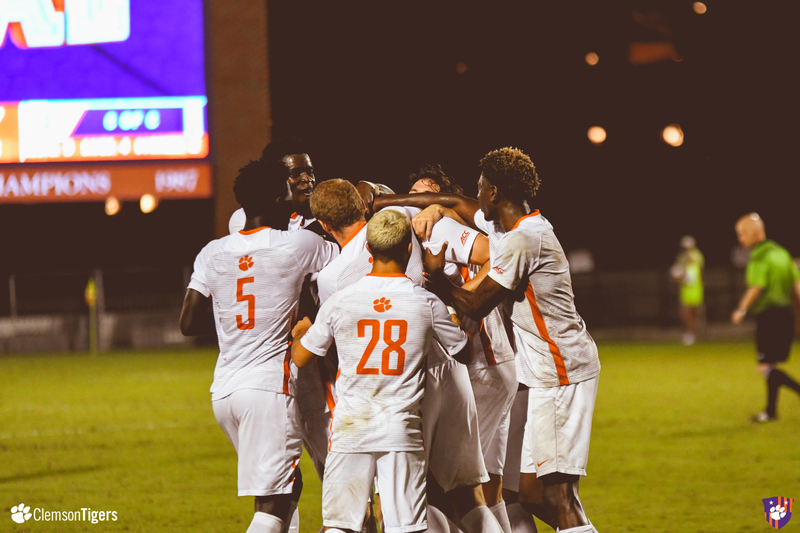 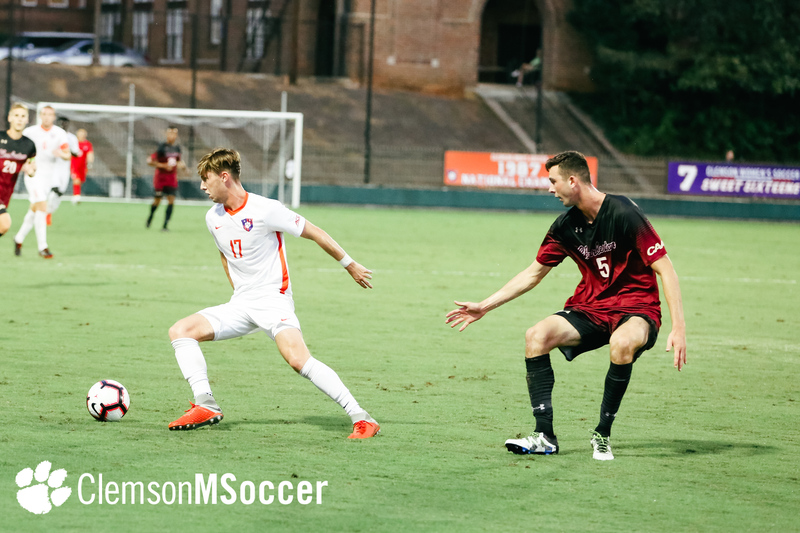 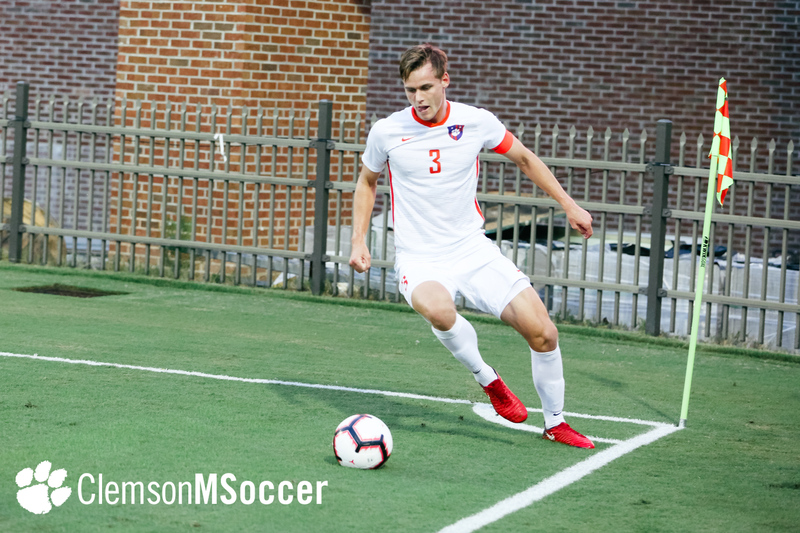 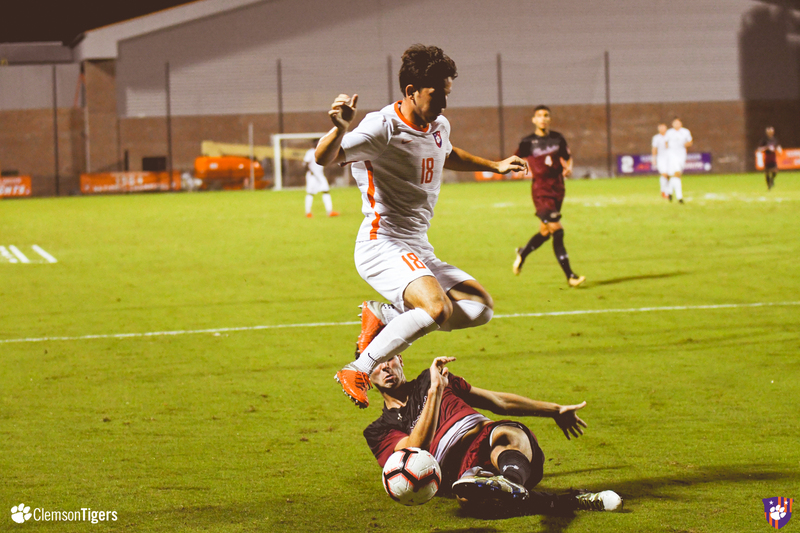 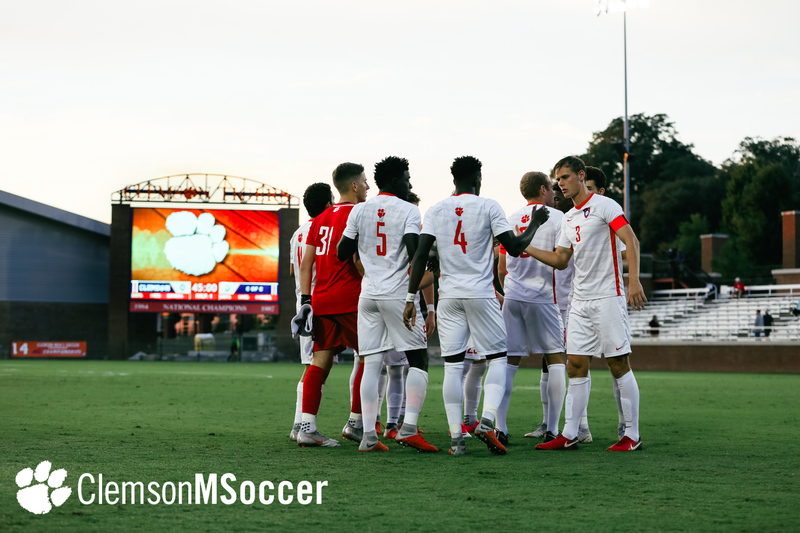 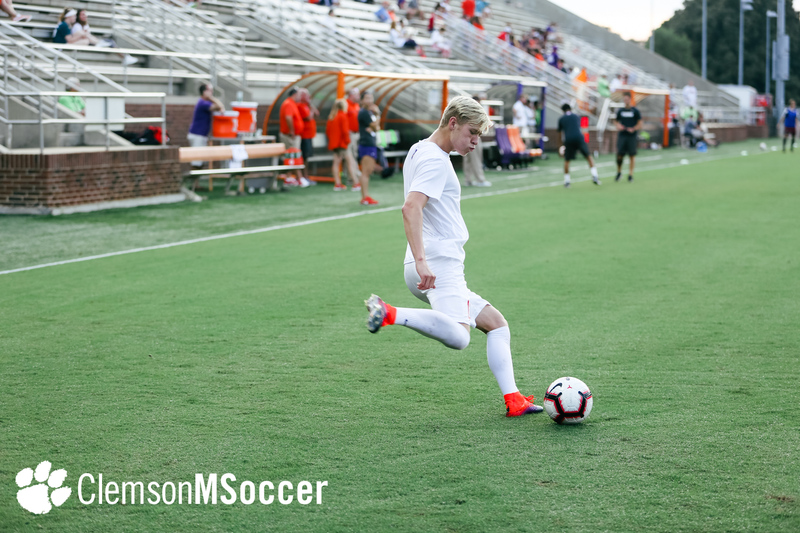 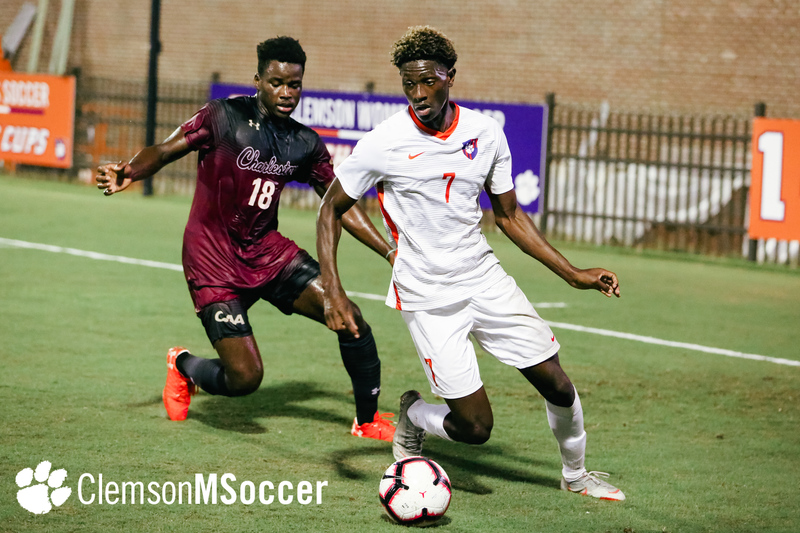 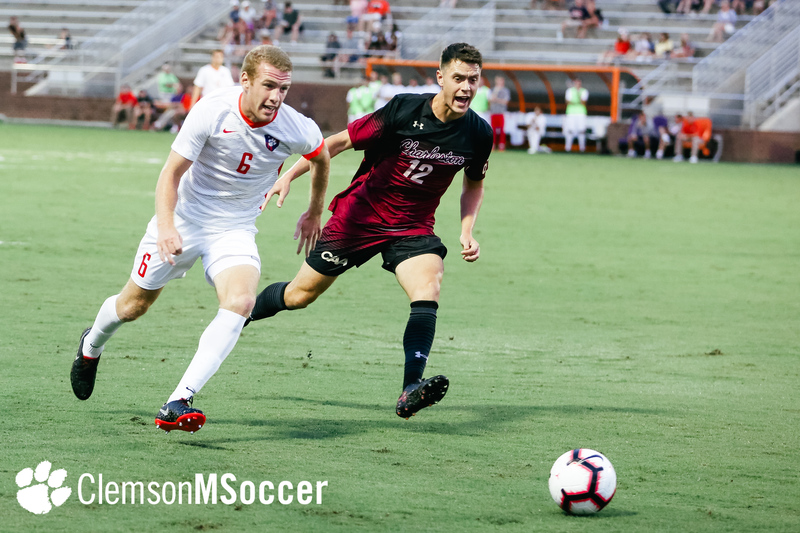 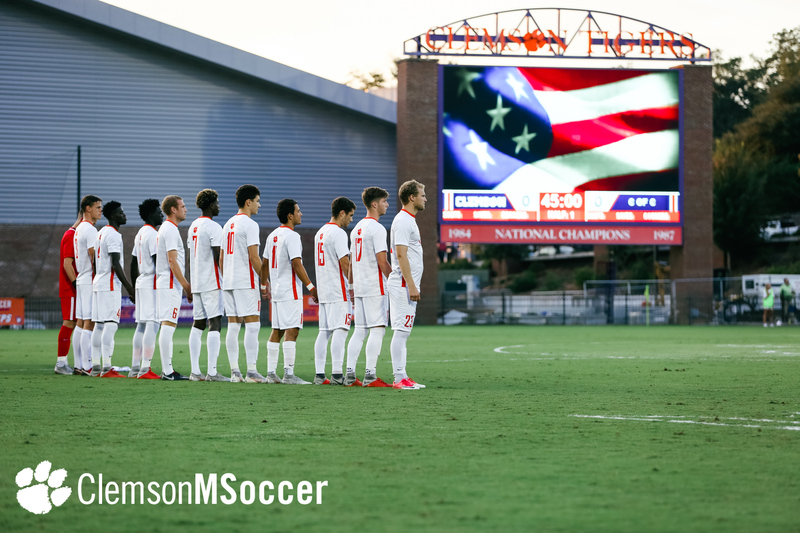 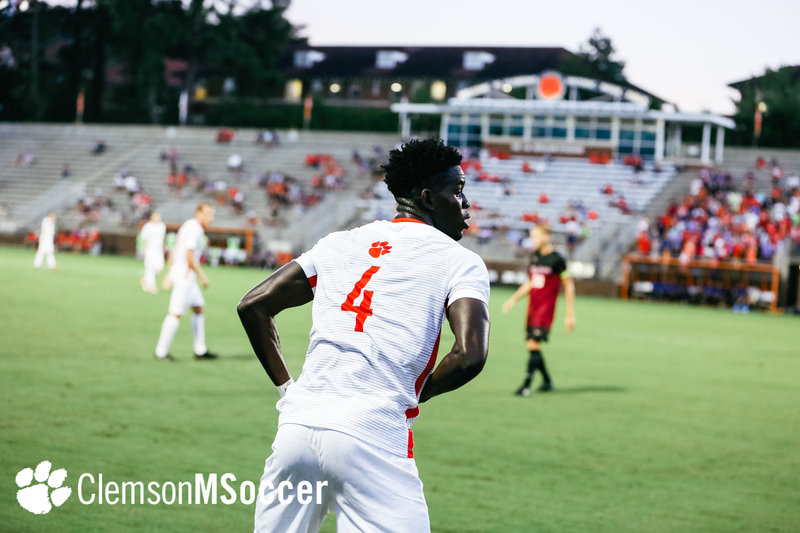 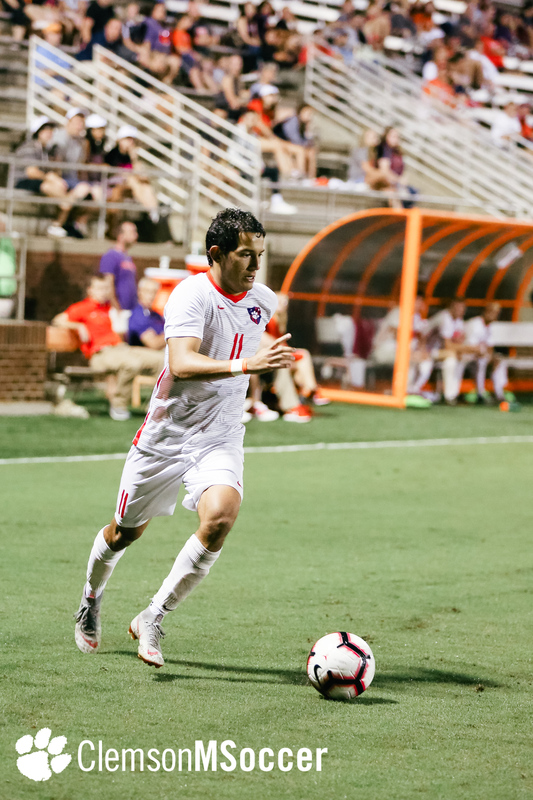 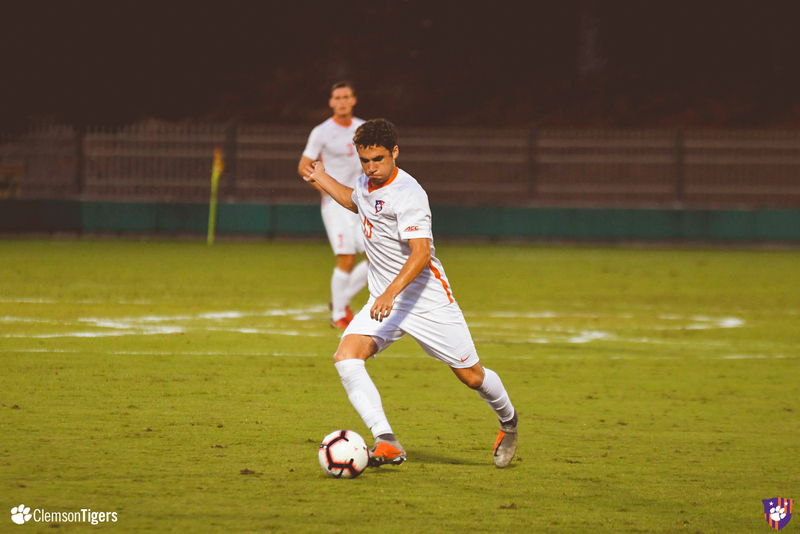 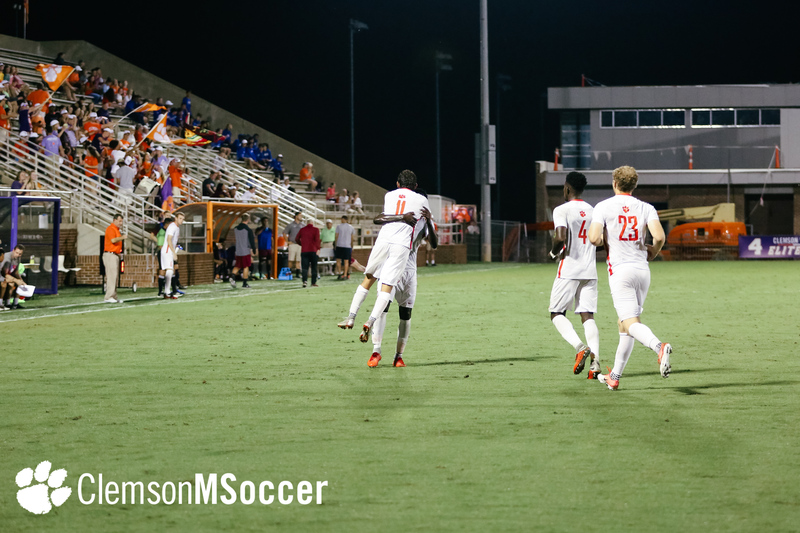 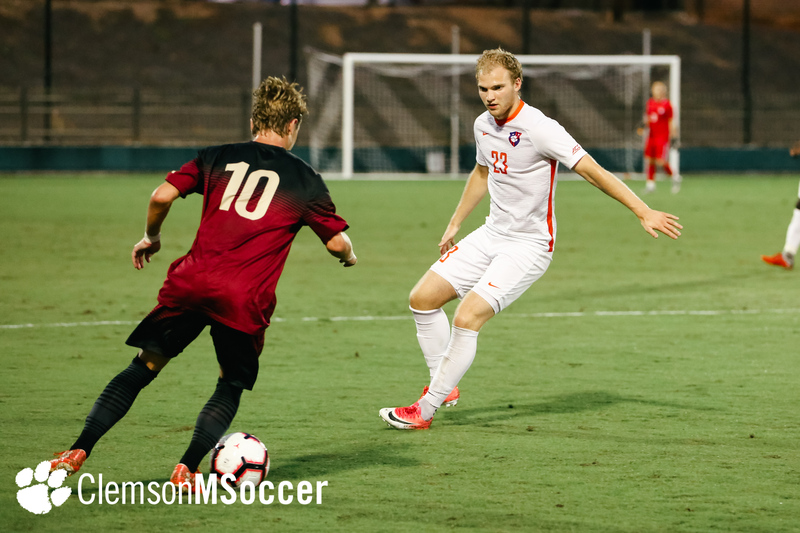 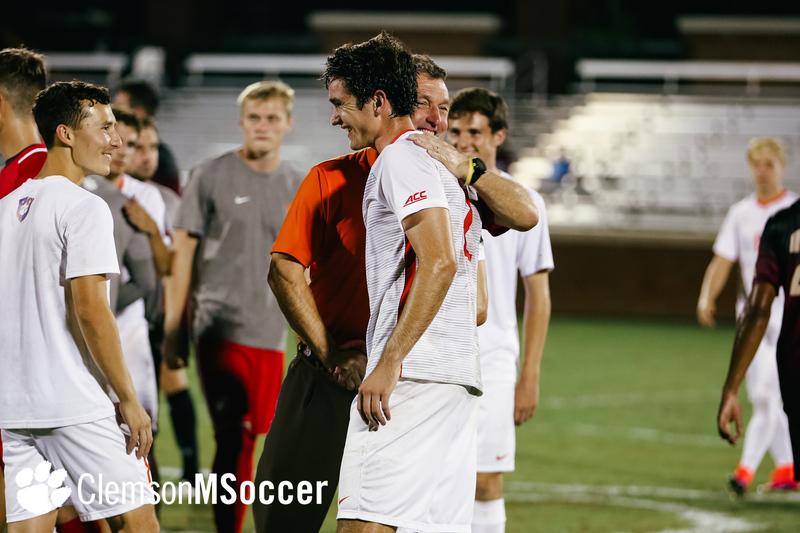 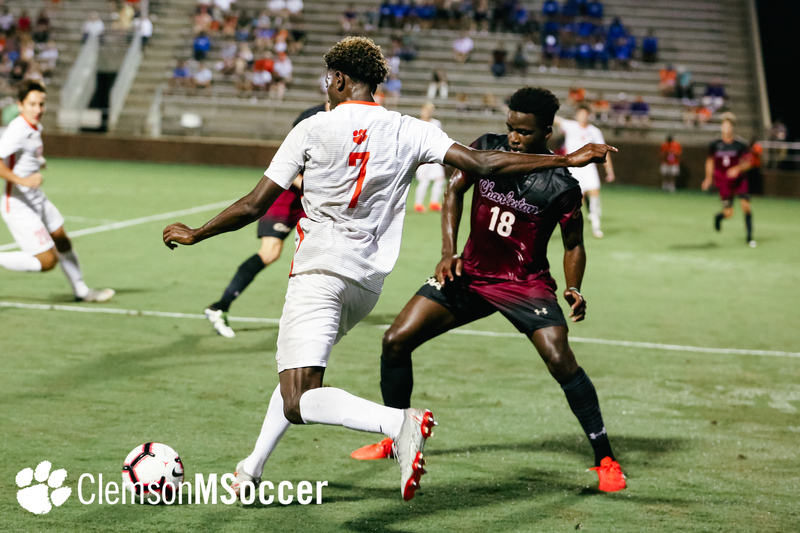 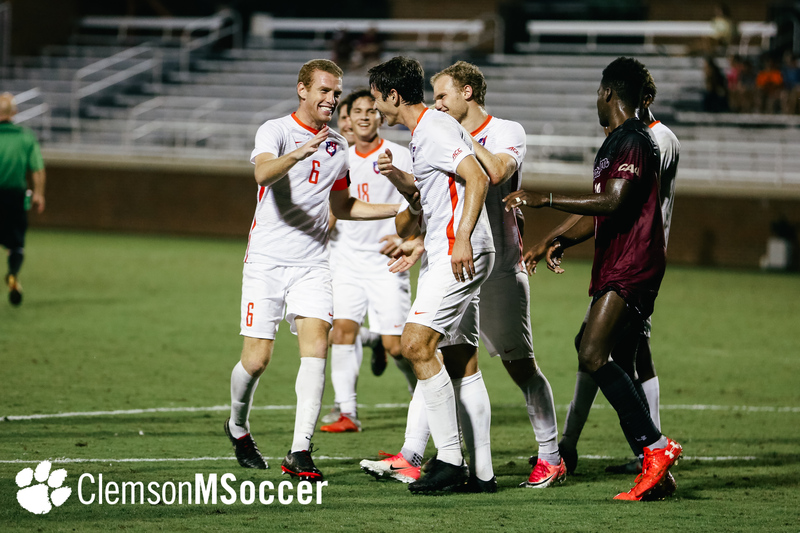 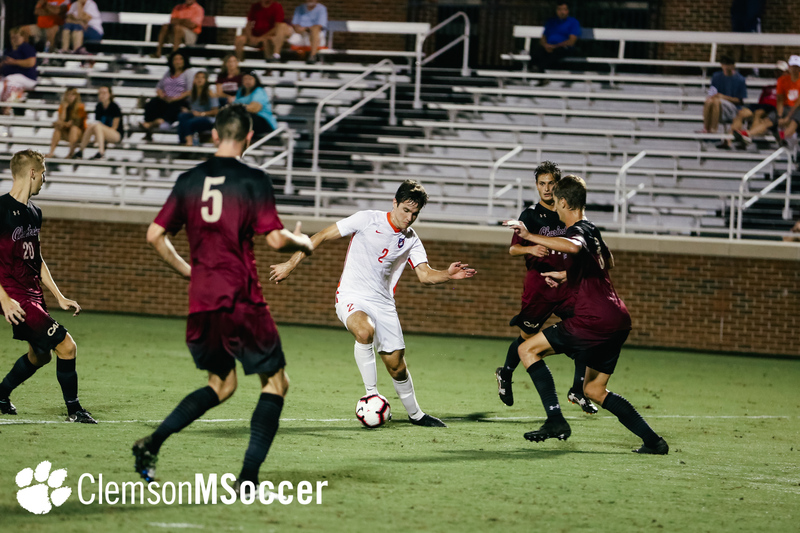 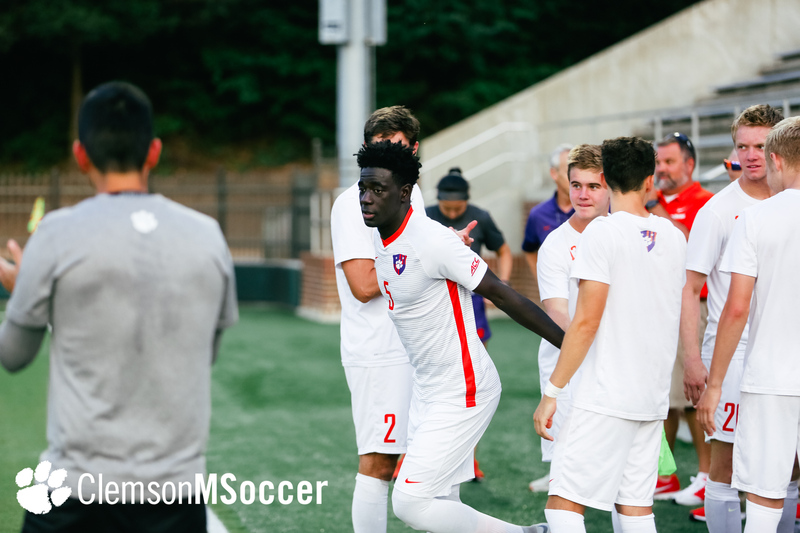 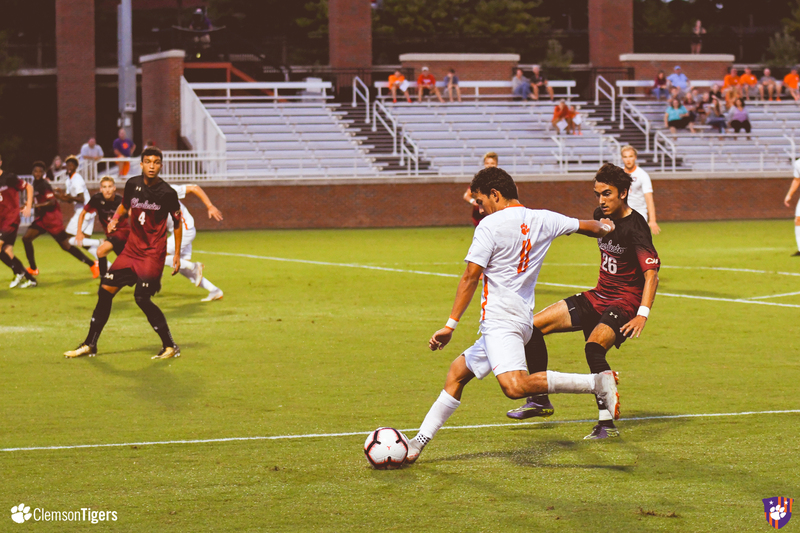 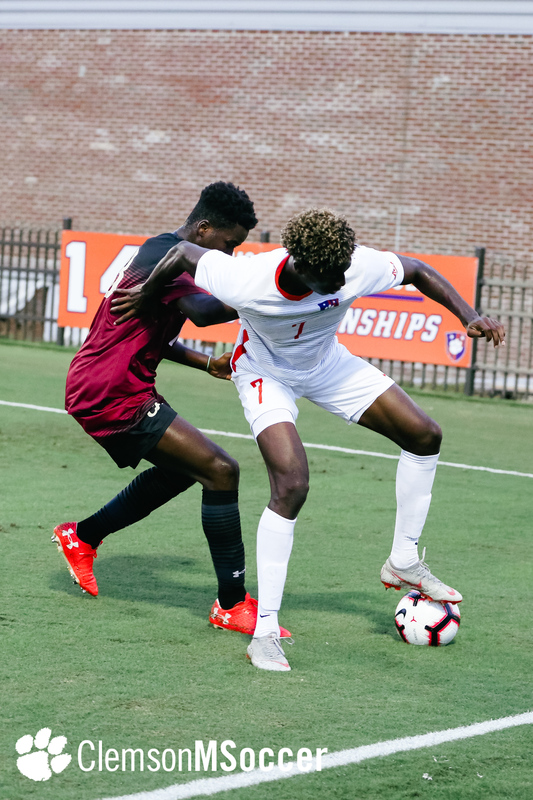 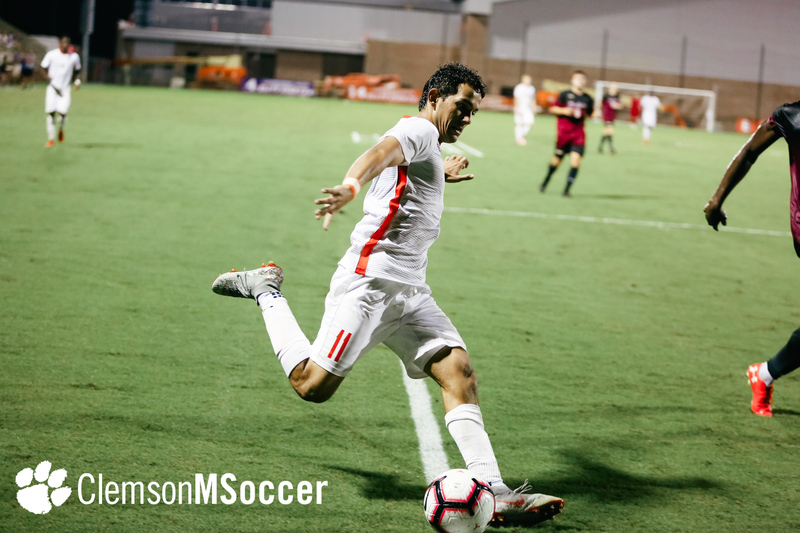 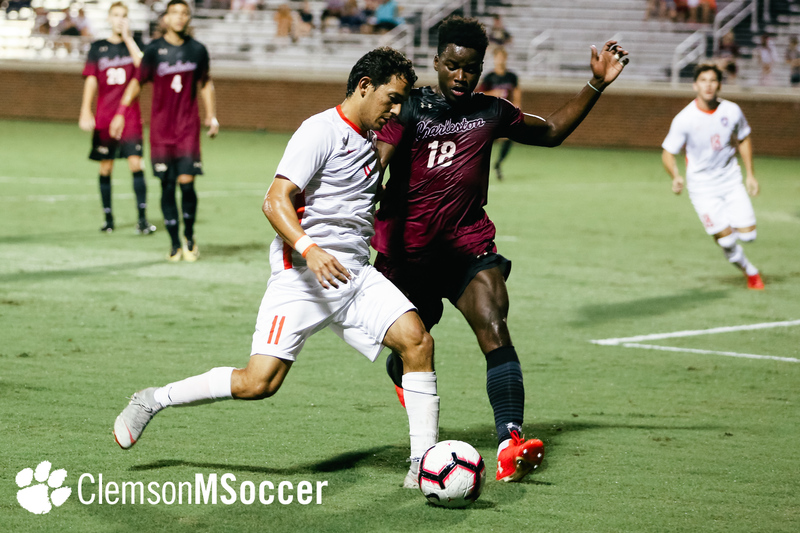 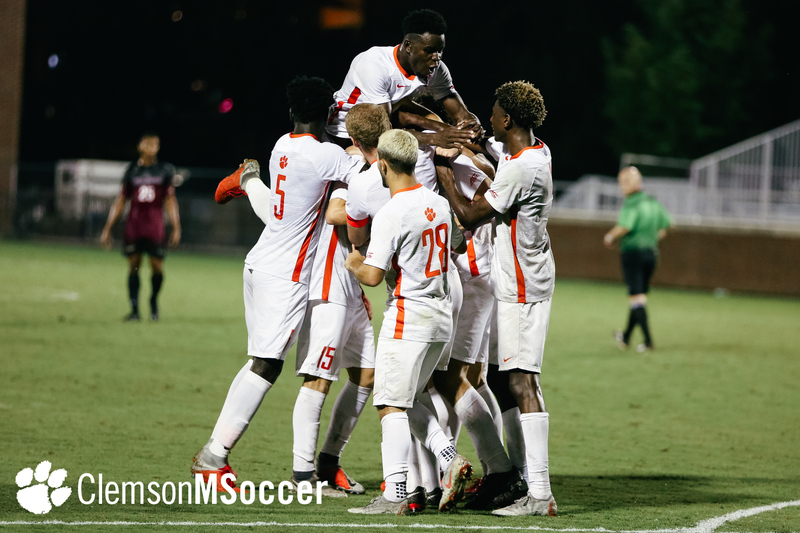 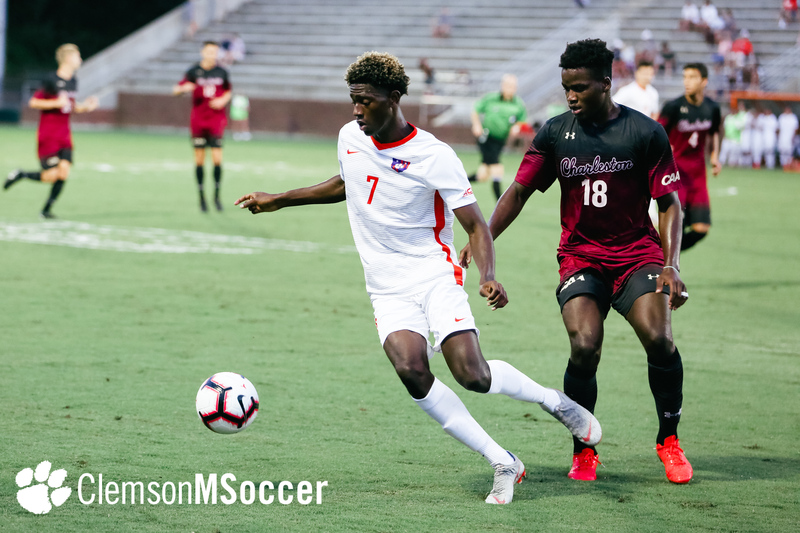 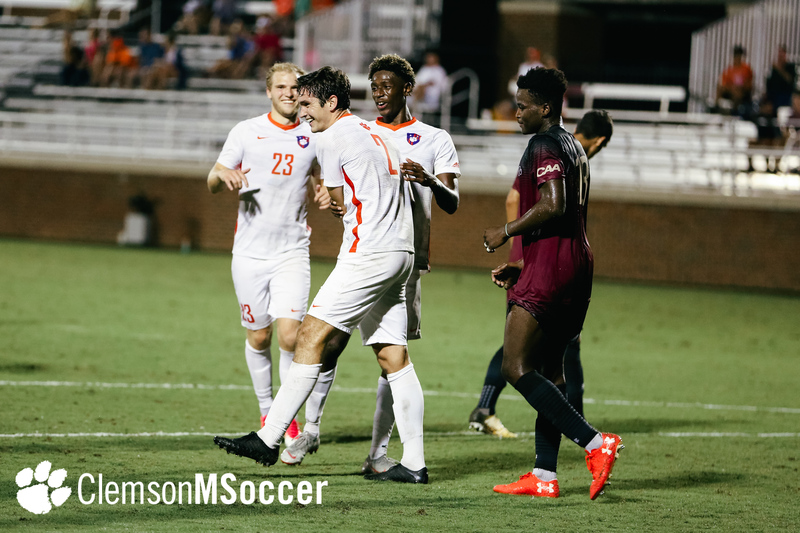 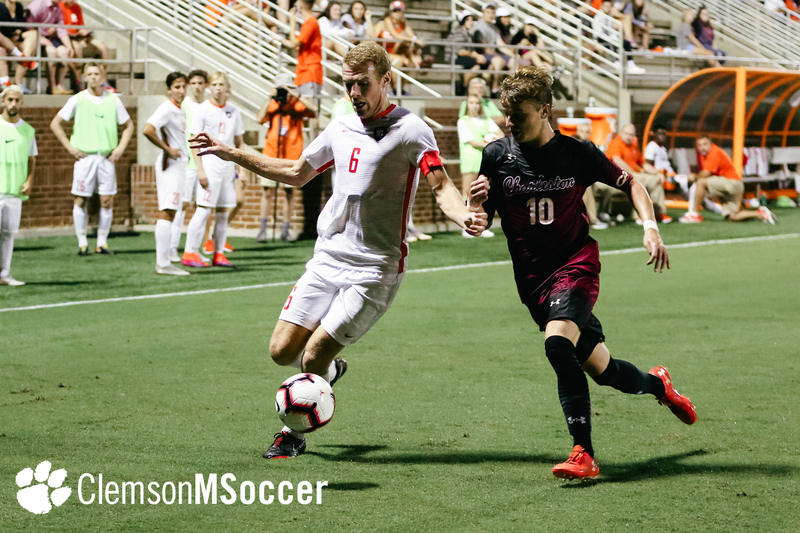 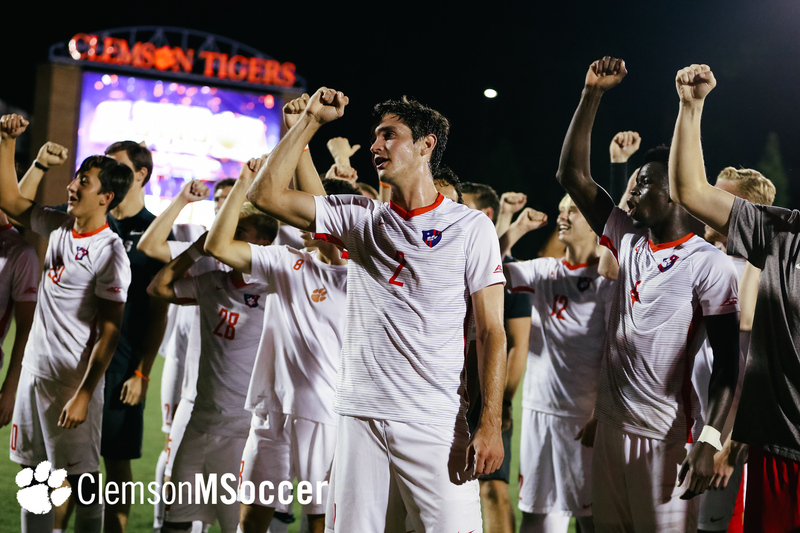 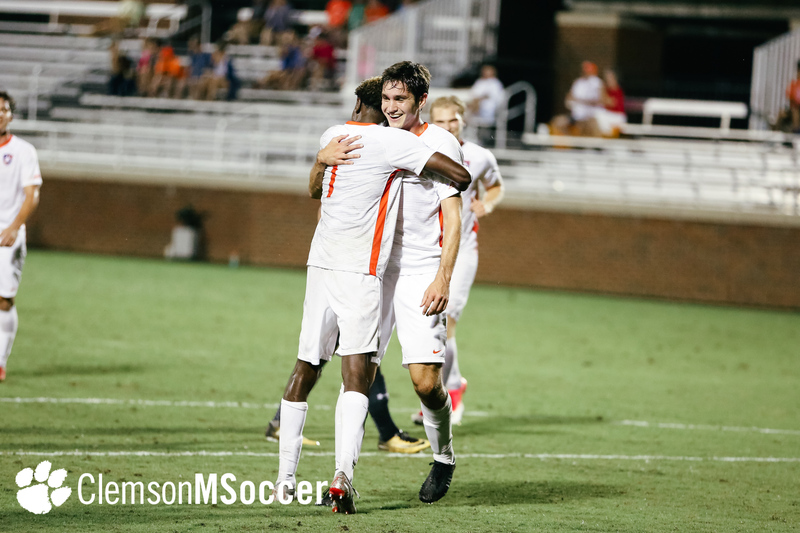 CLEMSON, S.C. – Adrian Nuñez netted a pair of goals for the second time this year and Andrew Burnikel added a score in the final minute to lead Clemson to a 3-1 win over the College of Charleston Cougars on Tuesday night at Historic Riggs Field. 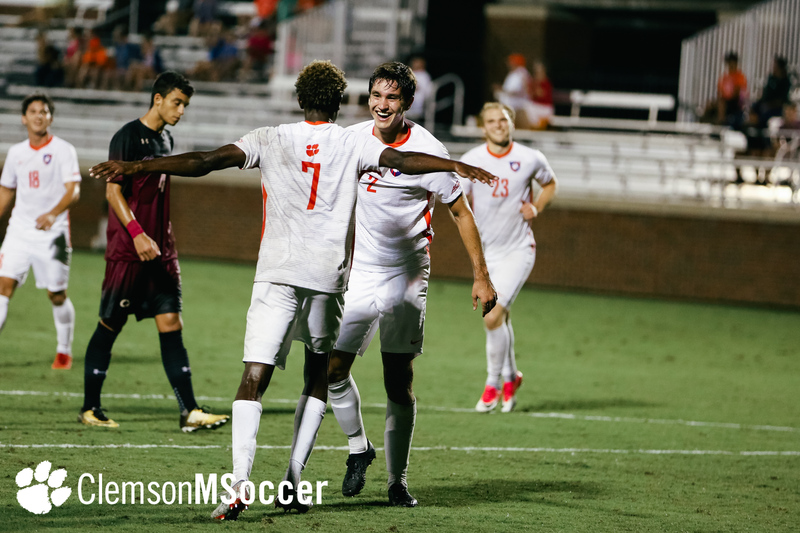 With the win, Clemson improved to 5-4-1 on the year, while College of Charleston dropped to 3-6-2. 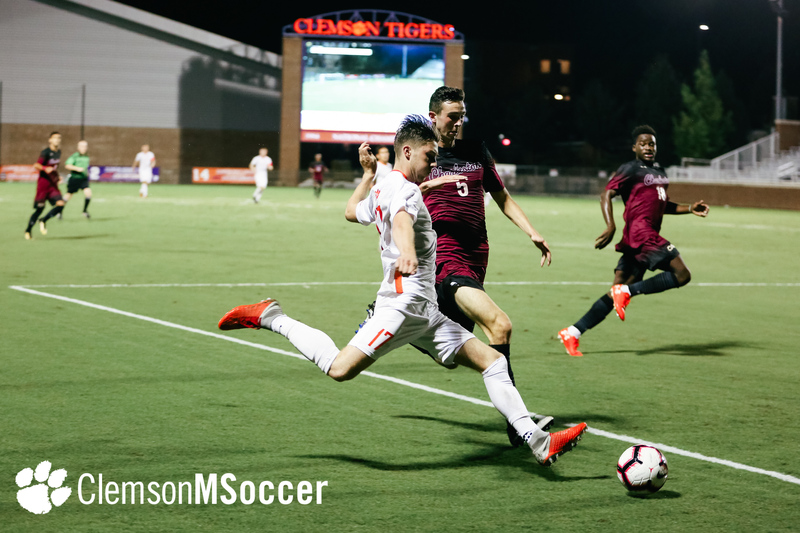 The Tigers were on the offensive early, with Kimarni Smith and Sindri Björnsson each getting shots off in the 11th minute, but the first deflected off the far post and the latter was a header that was saved by the Cougar keeper. 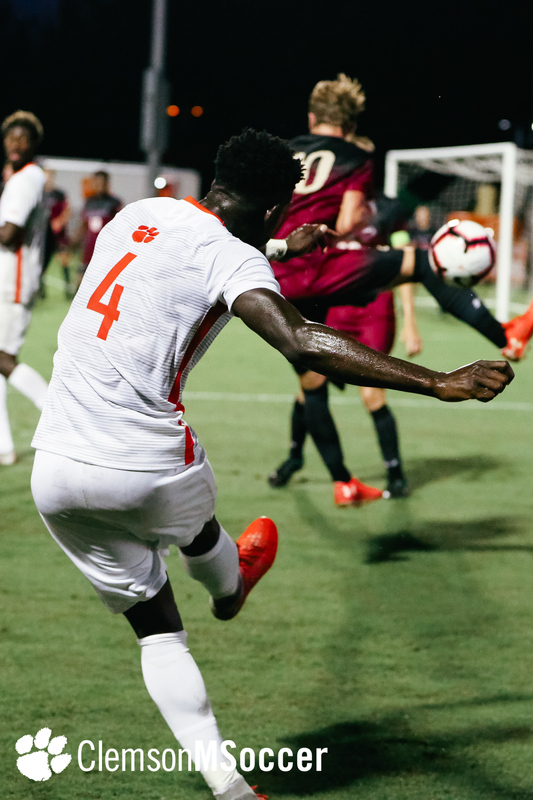 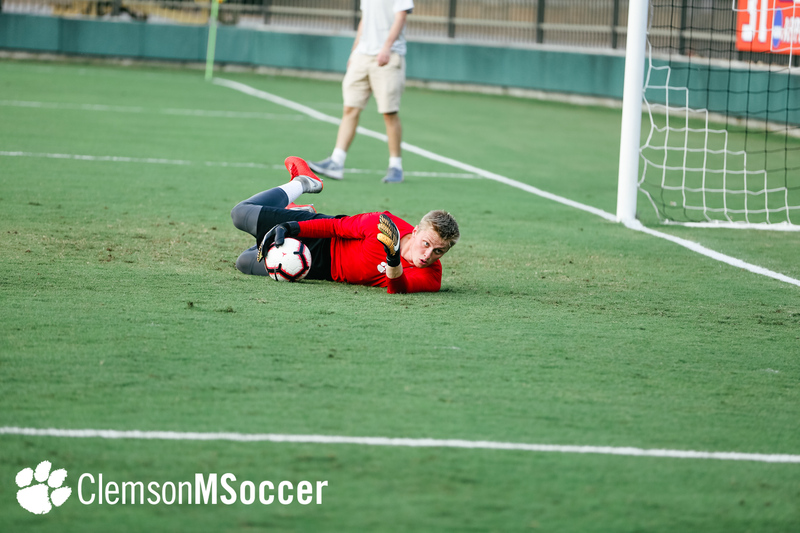 A curling shot from the near side of the box off the foot of Robbie Robinson in the 21st minute and another shot in the 28th minute by Quinn McNeill highlighted some of Clemson’s best chances of the rest of the half, but they were both saved by College of Charleston. 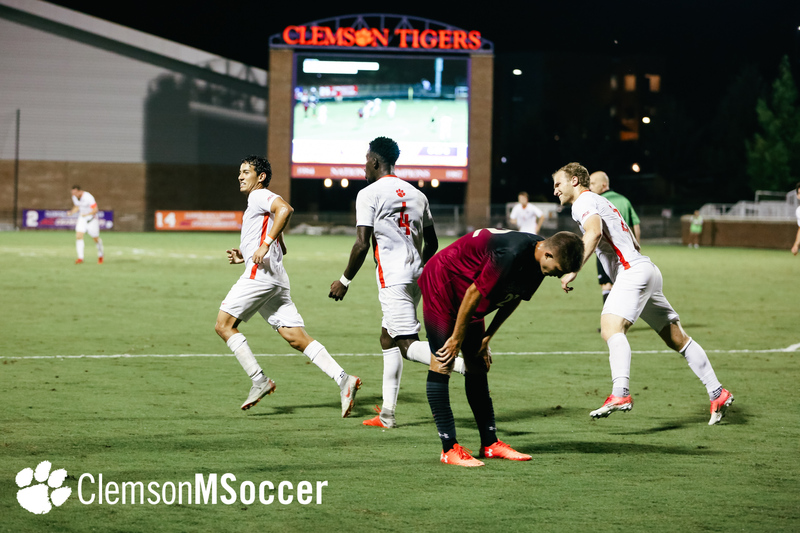 The two teams went into the break scoreless with Clemson having an 8-1 shot advantage. 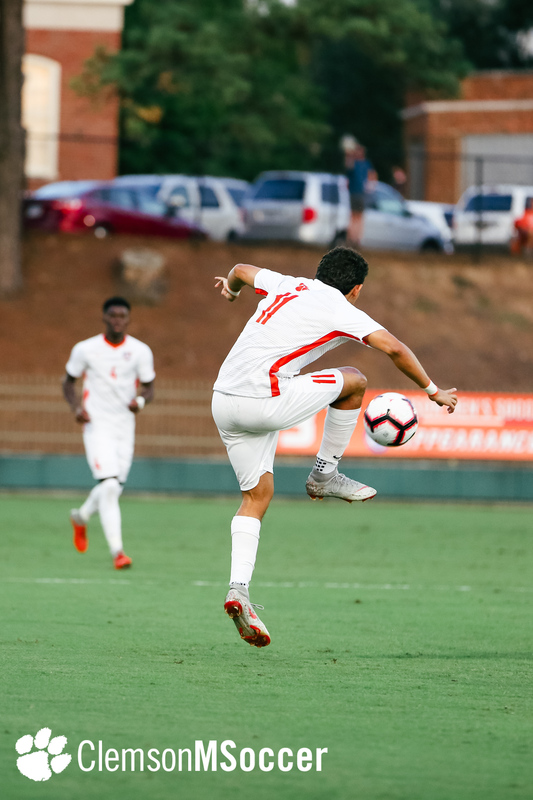 Adrian Nuñez broke the scoreless tie in the 66th minute, lacing a shot from 22 yards out to the upper left corner of the net and giving Clemson a 1-0 lead on his fourth goal of the year. 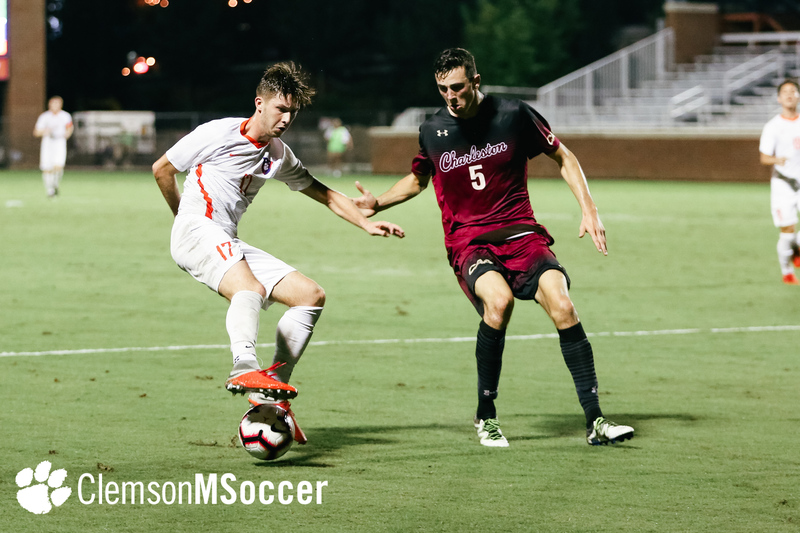 Just three minutes later, Tucker Heffron matched Nuñez with his fourth goal of the season for the Cougars, retying the score at 1-1. 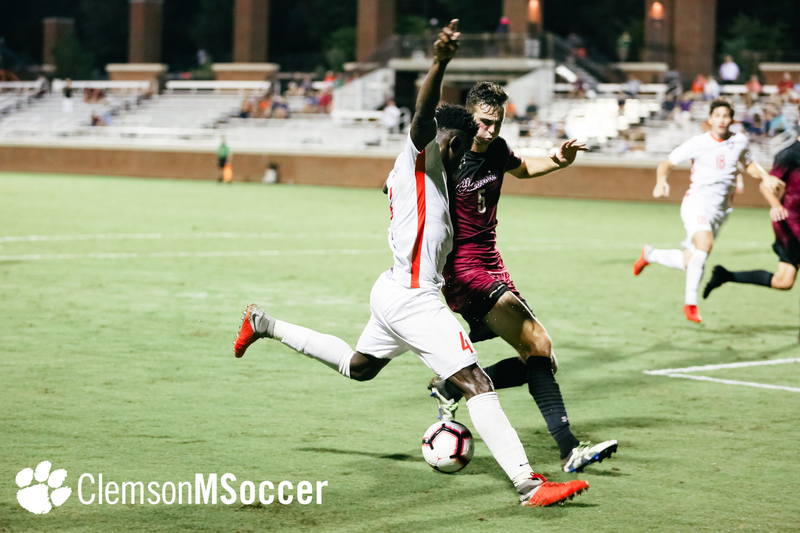 In the 83rd minute, Cougar Curren Page was disqualified from the match after earning his second yellow card of the night. 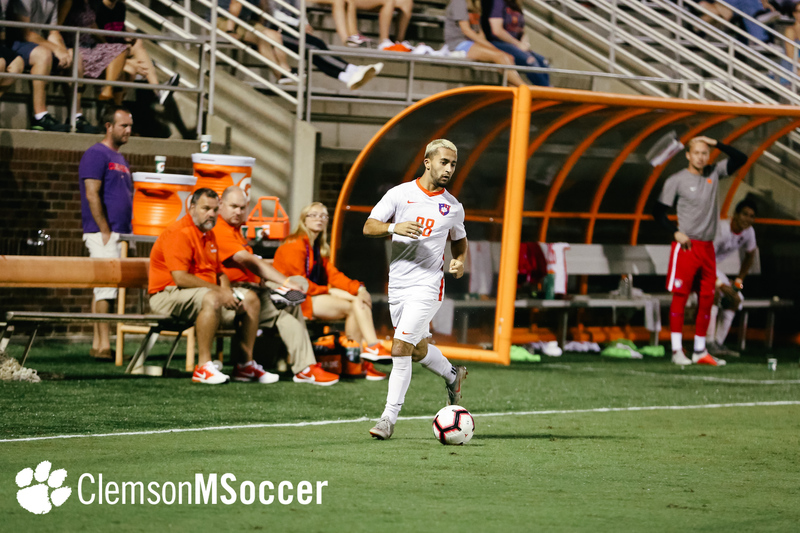 The Tigers quickly took advantage of being one man up by scoring less than a minute after the ejection when Justin Malou found Nuñez at the near post, and the latter netted his second goal of the night and fifth of the season. 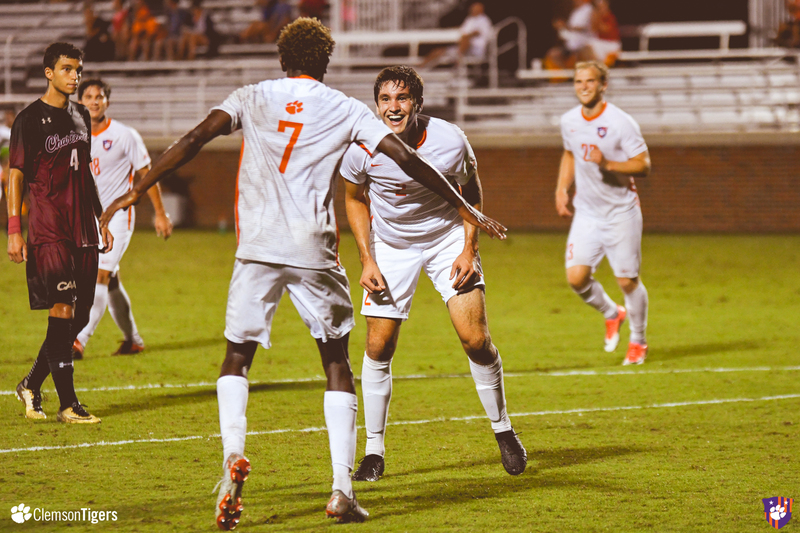 But the Tigers were not done yet, as Andrew Burnikel scored with 18 seconds left in the game, marking his first goal of the year and sealing the Clemson 3-1 win. 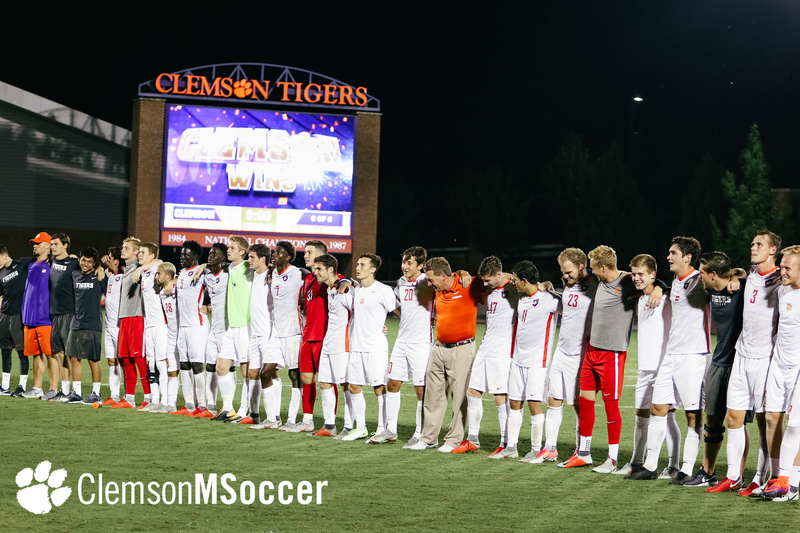 The Tigers face another road ACC test on Friday night when they travel to Pitt for a matchup with the Panthers. 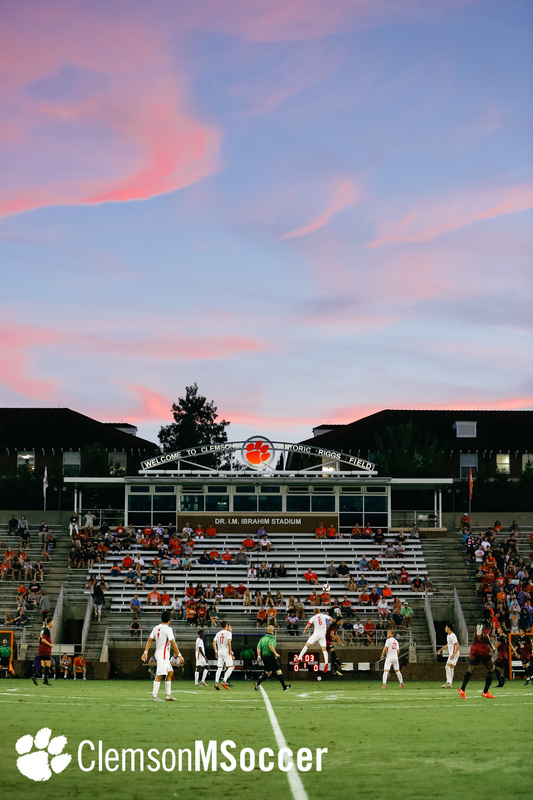 Kickoff is set for 7 p.m. at Ambrose Urbanic Field.